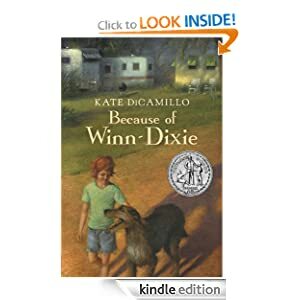 Today Amazon offers you to get Because of Winn-Dixie by Kate Dicamillo just for $0.99. What can I say – harry up to get this book for your kinds and for yourself. It has 836 customer reviews with average 4.6 out of 5 stars. The summer Opal and her father, the preacher, move to Naomi, Florida, Opal goes into the Winn-Dixie supermarket and comes out with a dog. A big, ugly, suffering dog with a sterling sense of humor.A dog she dubs Winn-Dixie. Because of Winn-Dixie, the preacher tells Opal ten things about her absent mother, one for each year Opal has been alive.Winn-Dixie is better at making friends than anyone Opal has ever known, and together they meet the local librarian, Miss Franny Block, who once fought off a bear with a copy of WAR AND PEACE. They meet Gloria Dump, who is nearly blind but sees with her heart, and Otis, an ex-con who sets the animals in his pet shop loose after hours, then lulls them with his guitar. Opal spends all that sweet summer collecting stories about her new friends and thinking about her mother. But because of Winn-Dixie or perhaps because she has grown, Opal learns to let go, just a little, and that friendship and forgiveness can sneak up on you like a sudden summer storm. Also you can download the following game: Zen Hopper. It is free today only. A Zen Master… of Hopping? Welcome to the Cave of Transcendence, where Zen masters apply their skill and training. Prove yourself worthy of the title Zen Hopper. The concept is simple. 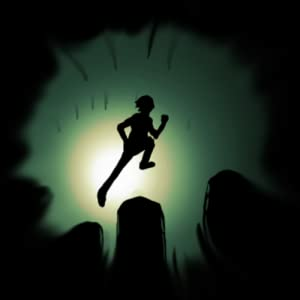 Hop across a series of wooden pillars over a bottomless pit. Don’t miss any; try to touch the center of each pillar as it passes for a perfect score. The poles move faster and faster, increasing the challenge. See how far you can go in Endurance Mode or find out if you can complete the Belt Mode challenges from white belt to black belt–achieve your black belt for a special ending. A dragon slides gracefully up the left side of your screen, marking the time until the end of your current challenge. Meanwhile, your sense of balance is marked by the lotus flowers on the right. If you close all of the lotuses, you’ve missed the pillars too many times, and you must repeate your training for the current level. This entry was posted in Kindle Applications, Kindle Apps, Kindle Books, Kindle Daily Deal and tagged Because of Winn-Dixie, Kate Dicamillo, Zen Hopper by Paul. Bookmark the permalink.